Hi guys! 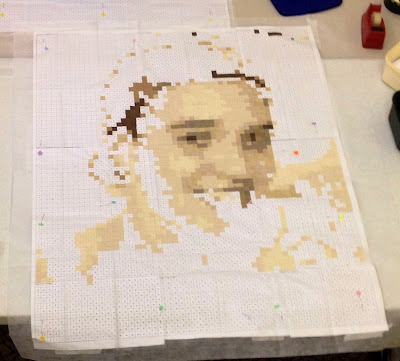 I have spent time the last two days revisiting Jo's process of "pixalating" a quilt in memory of her young son John. Jo and her family lost John tragically in a car accident just four years ago. Wow! That is am amazing quilt. 4500 1/2" squares in daunting. The featured quilt is amazing, thanks for sharing. Jo is such a talented quilter. So sorry that Jo lost her son. The quilt looks so good. She is very talented.